Drawing inspiration from the Dadaists' subversive artistic reactions to World War I, Contra is a magazine that examines art's potential as a contemporary activist tool. Its pages include everything from articles on zine-making as a means for young girls to navigate puberty, to stories on contemporary artworks that challenge the colonial erasure of Canada’s Indigenous population. This issue is titled “The Identity Issue,” and explores attempts to contest and reshape identity on both the individual and collective level. While there are numerous arts-based publications, they seem to fall into two very specific subsets. They are either (1) produced by major cultural institutions, such as the Museum of Modern Art, and are directed towards their members or (2) are beautifully designed, expensive cultural publications that seem more like books than magazines. While the former publications are free, their content is obviously heavily impacted by the financial interests of the institution (e.g. promoting an artist with an upcoming exhibit), and they are therefore unlikely to serve as platforms for critique. This problem is worsened by the fact that many such institutions are government subsidized, once again limiting their potential to become spaces for social resistance. The latter publications– while often embodying more countercultural viewpoints– exclude a large portion of people simply due to their steep prices. 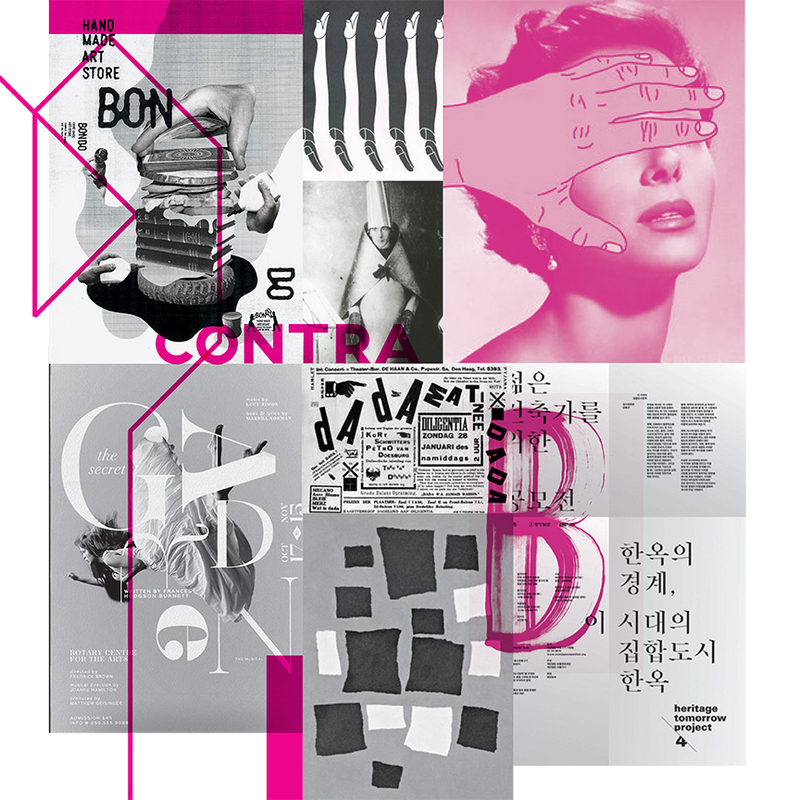 Contra is a de-institutionalized countercultural publication with a focus on making art work. 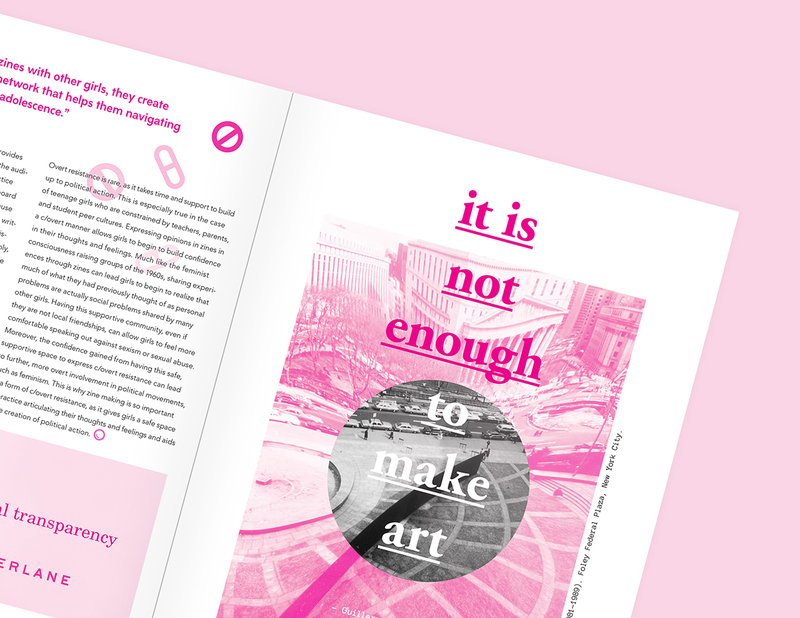 Each issue will focus on a different type of activism, but the publication will always share stories of art being used as a tool for social resistance. When I began to develop my publication, it seemed as though everything I was reading, watching and learning about at the time was pointing me towards what would ultimately become Contra. I was taking a course called “Community Arts for Social Change,” which discussed contemporary instances of art being used for community organization and mobilization, as well as art as a tool for coping and bearing witness to collective trauma. I found myself reading and re-reading course texts, highlighting favourite passages and saving them to my phone, and even reading about community arts practices on my own. At the same time, I was also enrolled in a course which theorized the modern role of the museum. While I learned about the institutional limitations of museums, I also read countless accounts of what artists believed museums should be like: dynamic, self-critical, and pluralistic public spaces open to all. I imagined creating a publication that could embody such characteristics. Furthermore, intersectional feminism and media representation— something I have been known to discuss at length with my roommate over a bowl of Mini Wheats— seemed to fit in seamlessly with these burgeoning areas of interest. I happily became a shut-in for weeks, diving into a sea of journal articles, academic studies, and literary fiction. I was also fascinated by Dadaism at the time, specifically how the movement was founded. From the Dadaists’ perspective, the violence, nationalism, and the glorification of war that characterized of post-WWI Europe were all products of the dominant bourgeois culture. They therefore began to challenge the notions of aesthetics, the artist, and the masterpiece– as well as other paradigms held dear by the bourgeoisie– making powerful statements about the need for cultural revolution during turbulent times. Contra developed out of my own interests, as well as what seemed to be an obvious gap in arts publications: there were no economically accessible, yet unbiased spaces for art to be considered as a tool for social resistance. Lucky for me, this meant I was able to combine most of my interests into a single project. I happily became a shut-in for weeks, diving into a sea of journal articles, academic studies, and literary fiction. To help focus the critical foundation of my publication, I researched Dadaism in-depth, and used their principles to guide the development of the magazine. I learned that the Dadaists did not restrict themselves to a single medium– rather, they unified their movement through the consistent use of subversive tools such as iconoclasm, nonsense, intentional ugliness and parody. They also encouraged multiple interpretations of their work, arguing that pluralistic understandings represented a return to the “naturalness of expression” which in their view, modern society had lost. Ultimately, the Dadaists used their artwork to force others to confront the nonsensical nature of a society that could produce the horrors of World War I; a strong instance of activist art. Having established a strong conceptual grounding and having assessed the publication’s potential strengths and weaknesses through a SWOT analysis, I began to carefully curate the content. At first, this meant reading a wide range of articles from different creative disciplines. I read theory about modernist aesthetics and the death of the autonomous artist, academic articles on zine-making as a tool for social resistance, and popular articles on Muslim “ hipsters” using their style as a form of personal expression. 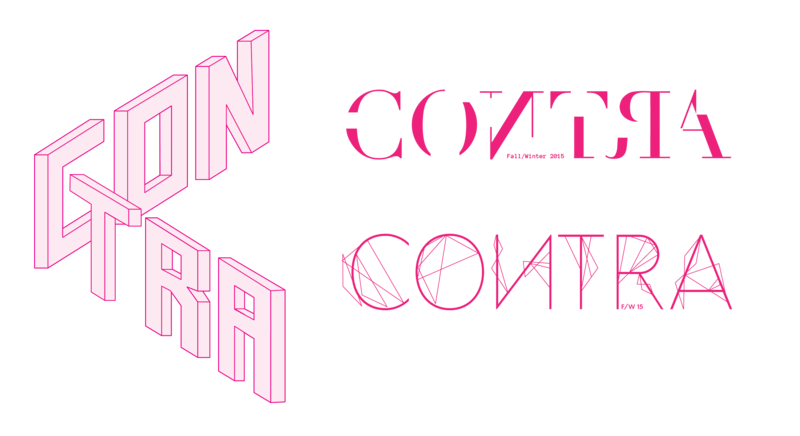 I then began to group content thematically, ultimately deciding that the first issue of Contra would discuss art as a tool for dealing with identity politics. Once I felt that I had a strong yet focused collection of written pieces, I considered the visual style of the publication. I did a series of visual research, making a moodboard, spec board, and a number of art direction documents before settling on the publication’s visual style. While I certainly took cues from Dadaism, I was also careful to design in a way that would show the publication’s credibility despite its low production value. As Contra is to be printed in only black, white, and one spot colour, and on newsprint, I worried that potential audiences would view the publication as niche or as not trustworthy. To increase the publication’s credibility, I chose to omit visuals with a “handmade” quality that might harken back to niche punk zines. 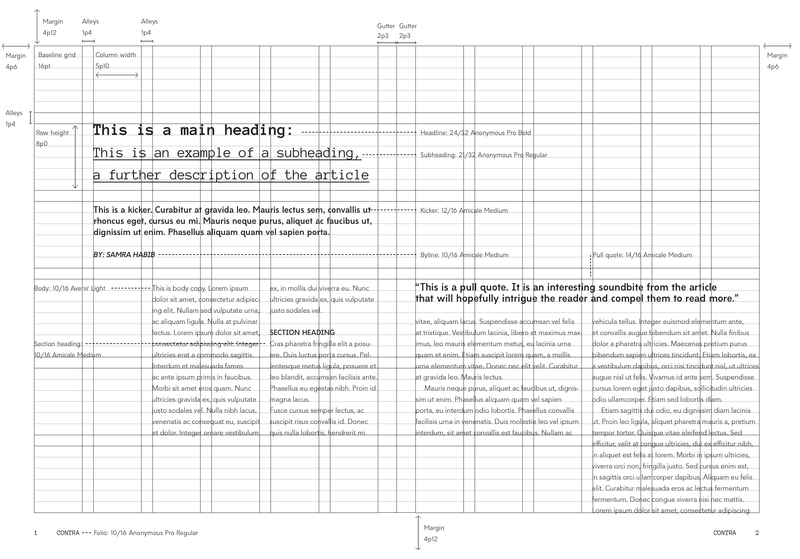 I used carefully set, highly legible typography, as well as clear narrative sequencing to increase credibility. At the same time, I integrated playful yet puzzling imagery to covey the publication’s contrarian stance. I also included a number of more editorial spreads, (such as “it is not enough to make art”) to leave room for the ambiguity and pluralistic interpretations the Dadaists championed. By drawing comparisons between text and image without clear explanations, I hoped to challenge the viewer to think critically and draw their own conclusions. 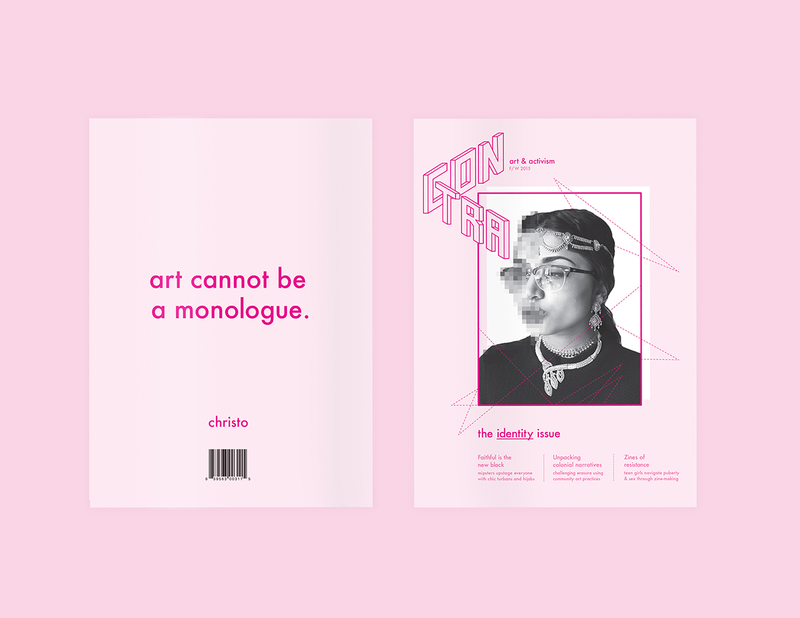 The first issue of Contra is an eclectic yet accessible collection of articles on how creativity can be used to mobilize communities against oppression, as well as how individuals can reshape their own identities through creativity.